Now Sinhala Bible is with you….” Your Word is a lamp to my feet ” sings the Psalmist. The Believer in Christ is confronted with the ideology of the world that seems to separate him or her from the Creator God. But the proximity to the Creator Father is a felt experience to those who have recourse to the reading of the Word of God and reflection on His design. How ever availability of bible in sinhala is very much low on the web space. but now you can read Sinhala Bible via this web site. In God’s Word we find direction for our life. Many times the Lord will use his holy Word to reveal to us something about our life. As you read God’s Word, you priorities change. You focus on what is truly important shifts. As your priorities are replaced by God’s priorities, you discover new directions that the Lord wants to take you. You will sense God’s Spirit ministering to you. Be Faithful to the reflective reading of the Word of God and you will discover comfort which you get only from His word. 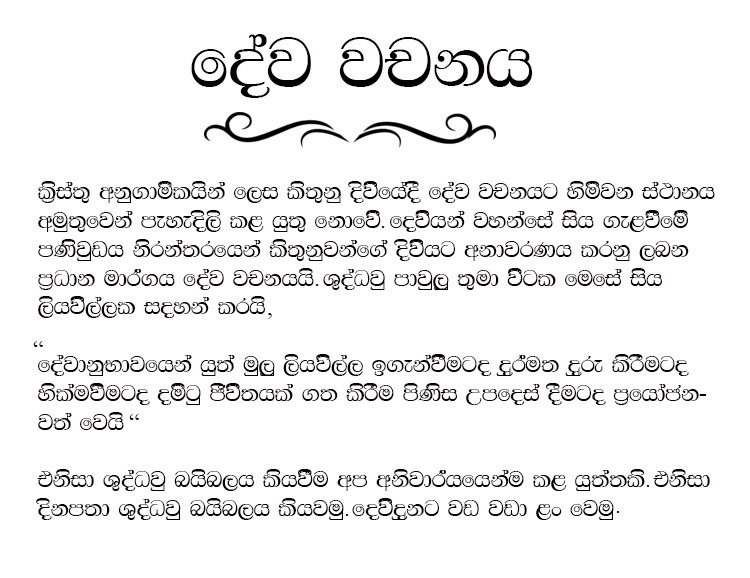 Because of having sinhala bible, its easy to read. So now you have no barriers about the language . 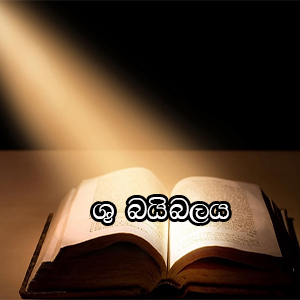 Sinhala bible is now with you. Read bible daily… We believe that, having Sinhala bible on web space will help you lots.. Jesus always Loves you !! !